Looking for a way to skyrocket conversions on your landing page or website? 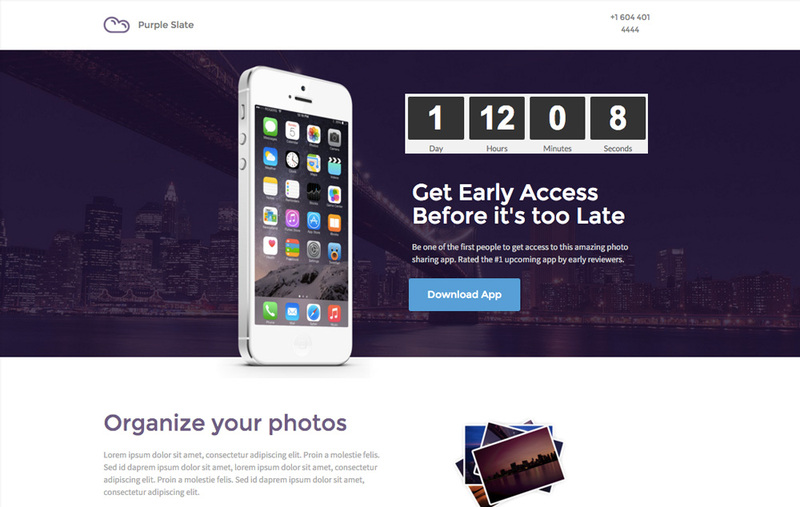 Wishpond is proud to announce a simple and easy to use online countdown timer. A countdown clock is one of the biggest conversion boosting tools we've ever released. Based on the idea of creating urgency in your offers, countdown clocks can help light some fire underneath your visitors and help convert them into leads. @Wishpond You guys rock! Thanks for the Countdown Clock feature! How Do Online Countdown Timers Work? There are few psychological triggers that motivate people to action more than the idea of scarcity. The reason being that as humans, we’ve been biologically wired to assume that scarce items are also valuable. When people see an offer is limited by time, they feel the need to “act now” for fear of missing out. Countdown timers work to put a tangible end date to your offer. What was once available forever now must be taken advantage of before a certain time. Notice how in this example the countdown clock works with the headline to create scarcity through a limited time offer. Rather than just offering “early access”, users must make a decision whether they want to take advantage of the offer today or miss out forever. 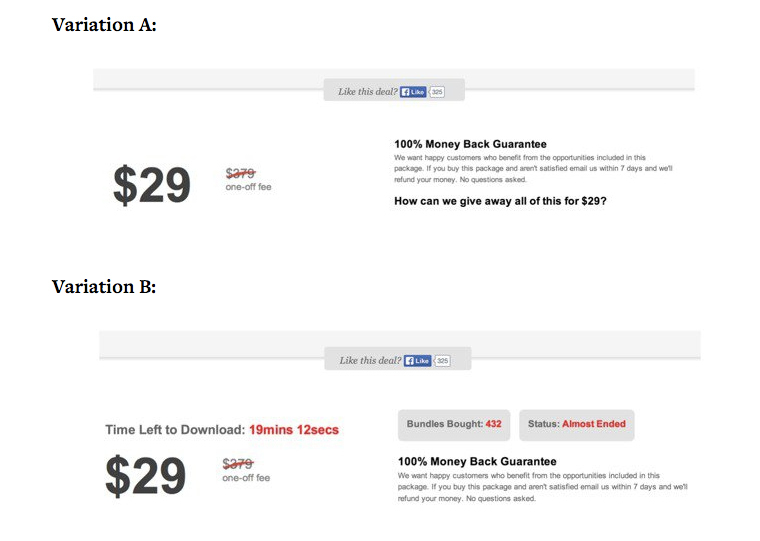 For a real-world example of this, a marketer selling an online music package A/B tested two variations of his offer. He tested one variation of his sales page that included a countdown timer, and the other that did not. 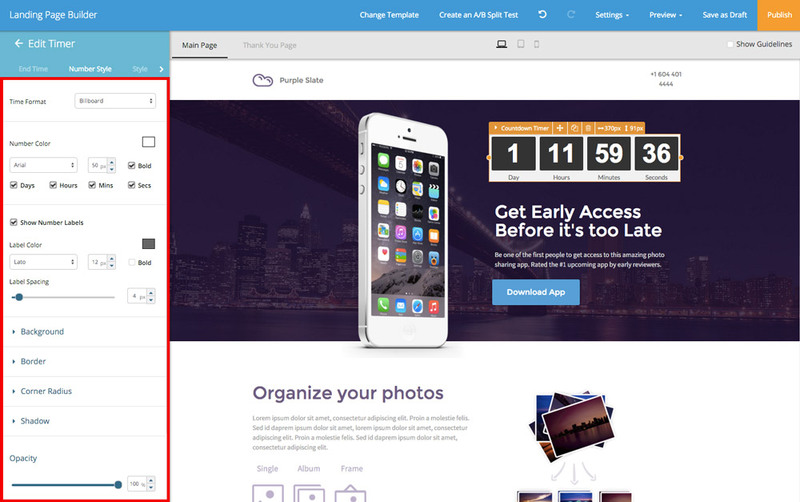 If you're already using Wishpond’s landing page builder, adding a countdown clock will be a breeze. We’ve added the new countdown timer as a draggable piece of content inside of the landing page builder. Simply click on the countdown timer content section and drag it where you want it to display on your landing page. Once you’ve added the Countdown Timer content widget you’ll have the option to select things like the countdown end time, how many fields to show (days, hours, minutes, seconds), as well as a number of design options to match your overall page. Depending on the design of your page, it might be useful to try out some of the different variations on the time format, text properties, and spacing options. You can even match the font of your headline text to your countdown timer in order to incorporate your countdown timer into sentences on your page! For more information on more countdown clock use cases don’t hesitate to ask us in the comments below. While countdown clocks don’t work for all landing pages, they do help to create a sense of urgency which could be just what you need to push your visitors over the edge to become leads. For more information on how to create urgency with or without a countdown clock, check out Wishpond’s article on 5 Ways You Can Create Urgency on Your Landing Page.